Formula One edition of the quiz, with Allan McNish, Claire Williams, Murray Walker, Nigel Mansell, Christian Horner, Suzi Perry, David Coulthard and Mark Webber. 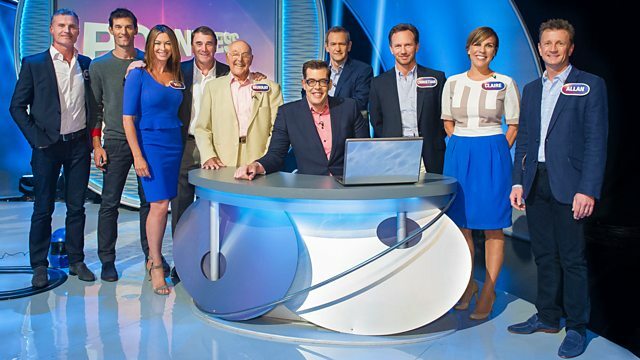 Alexander Armstrong and Richard Osman present a special celebrity Formula One edition of the general knowledge quiz in which four teams try to come up with the answers that no-one else could think of. Featuring Allan McNish and Claire Williams, Murray Walker and Nigel Mansell, Christian Horner and Suzi Perry, and David Coulthard and Mark Webber. Find out what's new on Pointless.